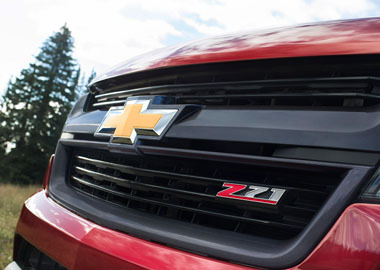 Chevy Colorado is your Motor Trend Truck of the Year® for 2015 and 2016. This year, the 2016 Colorado Diesel hauled in the award. New to the lineup, Colorado Diesel provides a combination of torque and efficiency no other midsize pickup can match. That’s a winning recipe. 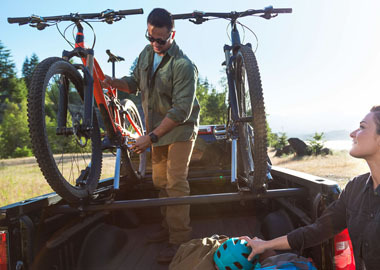 Providing available best-in-class horsepower and towing, Colorado offers advanced 2.5L I-4 and 3.6L V6 engines in addition to the 2.8L Duramax® Turbo-Diesel offering up to 31 MPG highway. Whichever engine you choose, impressive performance and efficiency ride shotgun on every trip. Standard on Crew Cab Short Box 2WD models, the 2.5L I-4 engine offers an impressive 27 MPG highway along with Direct Injection and Variable Valve Timing. The I-4 provides enough horsepower and towing to pull 3,500 lbs. without breaking a sweat. 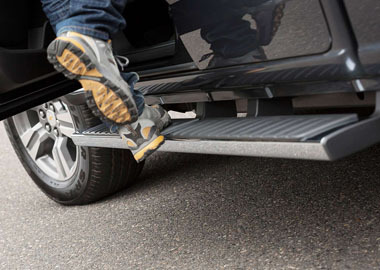 Colorado with available GearOn™ bike rack makes it easy to secure your gear. Cockpit-style gauges and intuitive controls allow for easy operation. Both available leather-appointed and standard cloth seats provide great support and over three-inches more front and rear leg room than Tacoma. With easy, secure storage, a nonskid space for charging devices, and up to four USB ports, you get the best of comfort and function. Colorado is the first small truck to feature inlaid triple sealed doors, thick windshield and side glass, and liquid applied sound deadener to help keep outside noise out and the music on the available Bose® sound system sounding that much better. In fact, there’s no quieter midsize truck on the road today. The customizable Chevrolet MyLink system is equipped with Pandora† streaming radio so your favorite tunes always come along for the ride. The available Chevrolet MyLink Radio with Navigation includes turn-by-turn directions and a 3-month trial of SiriusXM Travel Link, all integrated into your MyLink system.